Michigan Regional Poison Control Center Health Alert - This update highlights the drugs-of-abuse most likely to be encountered by pre-hospital or hospital providers. The discussion includes keys to the recognition and management of toxicity resulting from these substances. Practitioners, Pharmacists, Law Enforcement, Government Agencies, and Benefit Plan Managers can get information here to register as a PMP AWARxE User. *Information gathered from the Michigan Department of Licensing and Regulatory Affairs. Click here for additional information. SBIRT is a comprehensive, integrated, public health approach to the delivery of early intervention and treatment services for persons with substance use disorders, as well as those who are at risk of developing these disorders. 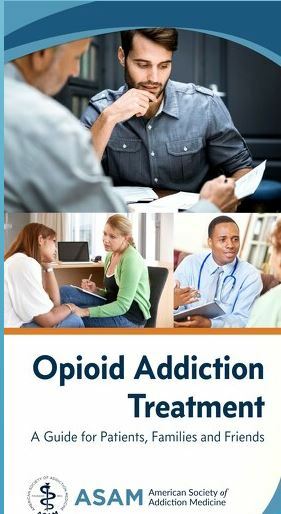 Primary care centers, hospital emergency rooms, trauma centers, and other community settings provide opportunities for early intervention with at-risk substance users before more severe consequences occur. Referral to Treatment provides those identified as needing more extensive treatment with access to specialty care. *Information gathered from SAMHSA. To learn more, please click here. You can refer your patient to NMRE Access Center for behavioral health services by having them call: 800-834-3393.